We are improving the K-Honey Filter to make the honey filtration process even more efficient and productive. 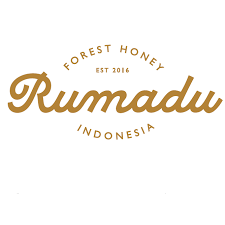 The demand for honey in Indonesia is reaching 3,000 - 4,000 tons per year, while the country is only capable of producing around 1,000 -1,500 tons per-year. The challenge faced by honey farmers is the limited tools accessible to them to simplify the honey extraction process. Simple tools can save them time and ensure they are more productive. Traditionally, the farmers use tools which are difficult to carry into the forest and account for production loss during the filtration process. The traditional method is cumbersome and time-consuming. During phase one, the K-Honey Filter successfully reduced honey loss by 75 percent, increased the income per honey collector per trip by approximately US$4.52, and decreased the amount of time necessary to filter 6.4kg of honey by 37.5 percent. In phase two, Kopernik wants to upgrade the K-Honey Filter design to improve the functionality according to feedback from the honey collectors. This will consist of changing the frame connection, increasing the filter size, making the material transparent, and adding a cover. Kopernik also wants to create an economic model for the K-Honey Filter to determine whether this filter is a feasible solution for honey collectors by gaining data to show potential manufacturers or distributors the value proposition of developing this product on a larger scale. We will also prove that this product has a viable market and value proposition for future scale-up opportunities. The average amount of honey collected over a period of time. A P&L analysis to assess how long it will take a honey collector to pay off the cost of the product and the potential to increase income. During phase one, the K-Honey Filter successfully reduced honey loss by 75 percent. In phase two, Kopernik wants to upgrade the K-Honey Filter design to improve the functionality according to the feedback of the honey collectors. The improved filter will allow more honey to be harvested on each trip, and potentially increase the forest honey collectors’ income. With an improved collection process, honey farming may even become a stable income for farmers rather than just supplemental income during the rainy season.